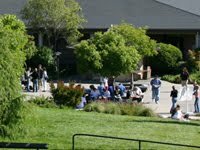 This information is intended to help you configure Cabrillo college secure email on your iPhone. We do not provide support for configuring email on your iPhone. However, we have provided resources here to help you configure your email account on your own. How to configure your Cabrillo email on an iPhone or Ipad. collecting the configuration information that you need for your cabrillo.edu account. learning how to configure email on your make and model of iPhone/iPad. configuring your iPhone/iPad for email access to your cabrillo.edu account. From your device's Home Screen, Choose Settings > Mail > Accounts > Add Account. 5. Continue through remaining dialogs, adding the configuration information listed above. TIP: For more detailed help, watch the video below. The video below is from the "for dummies" video series on-line. You'll want to configure an IMAP account.